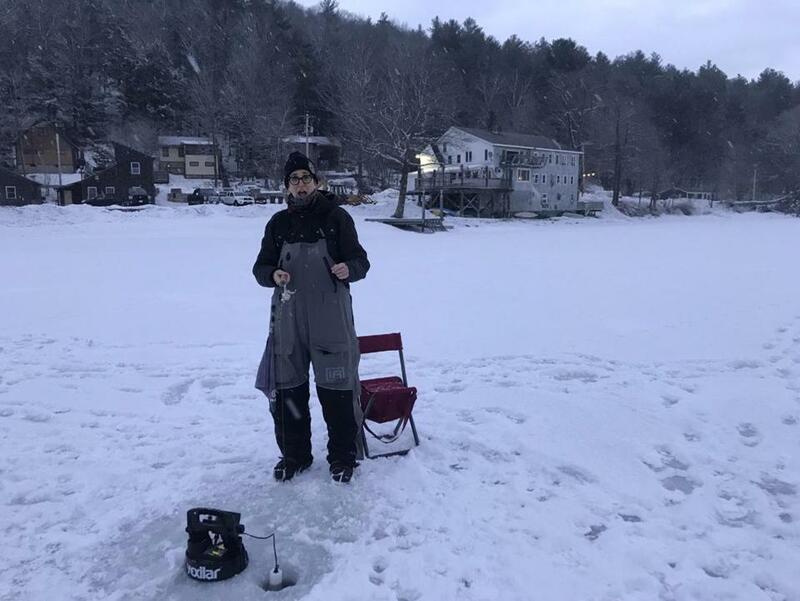 Rachel Maddow ice fishing in Western Massachusetts. The MSNBC host took time away from the hustle and bustle of New York City for some ice fishing near her home in West Cummington, Mass., over the weekend. According to a 2005 Globe article, Maddow’s now-partner Suzy Mikula bought their West Cummington home in December 1998 and met Maddow four months later, when she was searching for someone to help her manage upkeep of the creaky 1865 home and the land surrounding it. In a 2014 New York Times interview, Maddow said she typically arrived at the house at 2 a.m. on Saturday morning during a weekend away from New York. She said the place has no television, but it does have a fishing pole.